Thomas Englefield of Custom Bathrooms carried out a complete bathroom renovation which included all new walls, ceiling work, new custom tile shower, bath, basin, toilet and the associated plumbing work etc that goes along with it. This entire job was done in a timely and professional manner and to this day all facilities remain watertight with no leakages or problems usually associated with either faulty workmanship and or faulty products. I am entirely satisifed with the end product and standard of the finished renovation and I would happily recommend Thomas & Custom Bathrooms to others. Thomas from Custom Bathrooms completed an Ensuite in July 2015 for us. Having used a number of contractors in the past I felt Thomas distinguished himself through accurate quoting, good communication at all stages of the project, helpful and useful ideas, agreed upon variations, turning up at agreed upon times and a high level of workmanship. I consider this ensuite project to be more difficult than most because it was unusually small (870mm x 2340mm). Apart from the normal design decisions everything had to be chosen to make the most of the space available. Additionally, one of the walls was a structural wall limiting the changes that could be made. 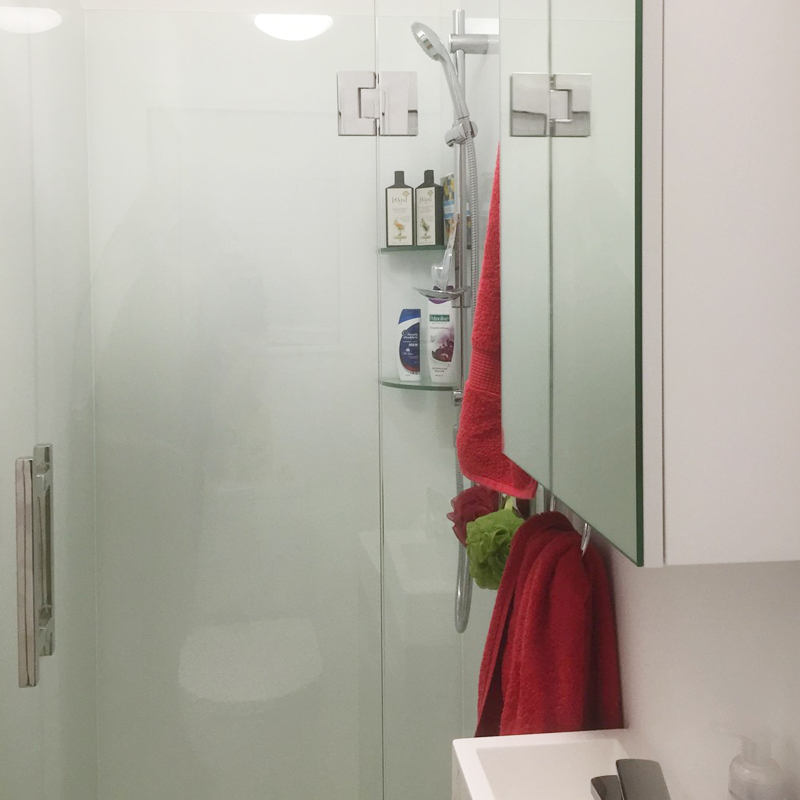 Thomas was able to think outside the square and offer creative building solutions such as building a solid plywood wall (rather than a standard framed wall) to allow the shower space to be made larger. I feel very happy with the work completed and would not hesitate to recommend Thomas and Custom Bathrooms. We plan to use Thomas and Custom Bathrooms again.